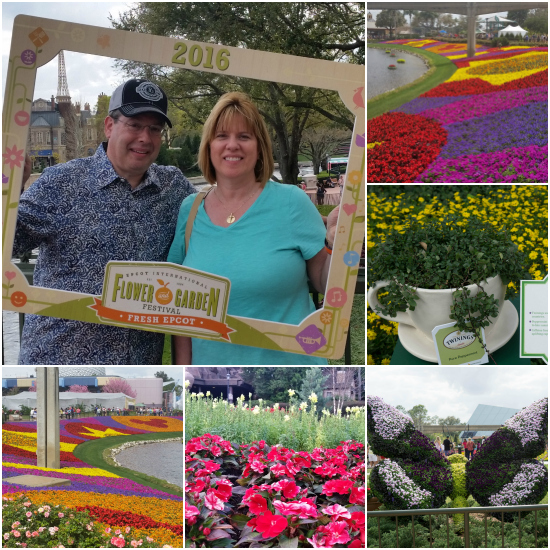 This past weekend, my wife Patty (who heads up our Test Kitchen) and I attended the Epcot® International Flower and Garden Festival, and we both fell in love with it! Of course, as you would expect from the Walt Disney World® Resort, the flowers were spectacular. The colors and arrangements were brighter and more vivid than any flowers I’ve ever seen. Can you spot the Hidden Mickey in there?! But, as magnificent as the flowers are, you know we’re all about the food! 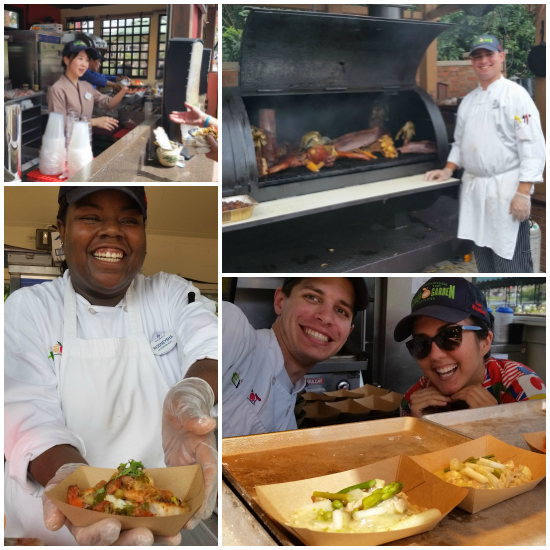 The festival features 13 “Outdoor Kitchens,” including two new ones: “La Isla Fresca” and “Cider House,” located around the World Showcase. These Outdoor Kitchens showcase foods inspired by Mother Earth, and are similar to the ones you would see at Disney’s Food & Wine Festival. Check out all the smiling faces of the chefs who served us! Patty and I got to meet with Chef Gregg, who heads up the culinary experience at Epcot. He explained to us that, when planning the menu for the festival, their goal was to make the produce the star of the dish. 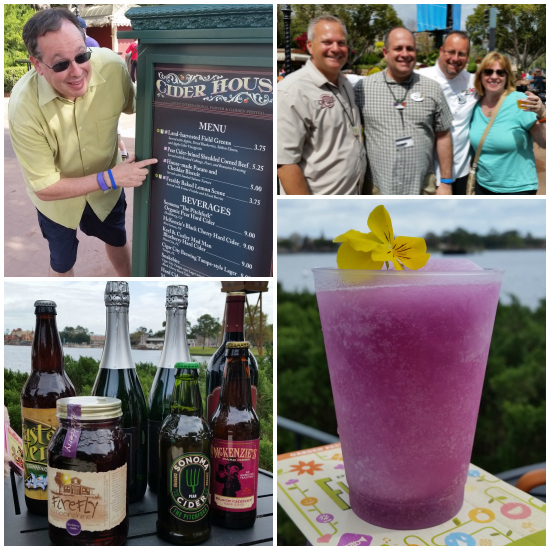 And the team of chefs in Epcot really came full circle this year as they connected regionally grown produce into dishes that reflected the countries they were being served from. 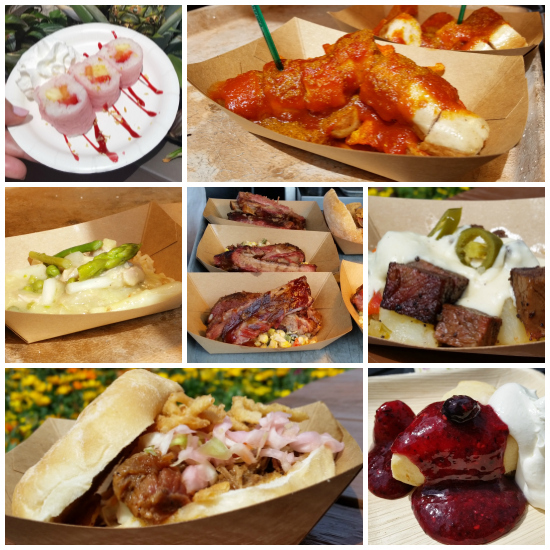 Just some of the foods we got to experience at the festival! Since Festival goers can’t survive on food alone, you can bet there were plenty of beverages to wash all those dishes down. So, to learn more about them, we were lucky enough to meet up with Dave Kesting. He’s the guy in charge of selecting what beverages are served at the festival. Let me tell you, these were the right two guys to know during our visit. 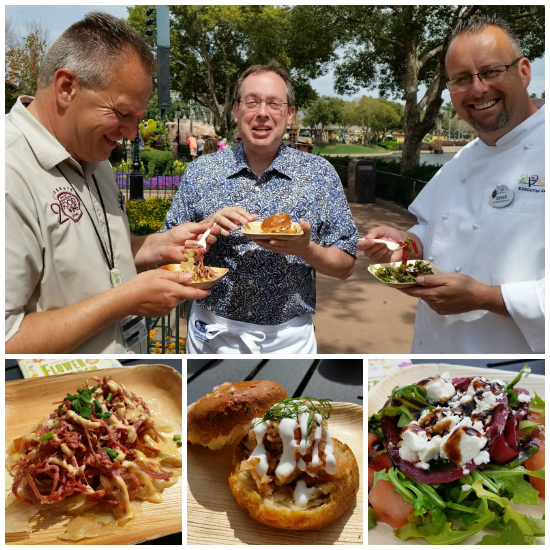 Chef Gregg and Dave made sure we sampled lots of this year’s new dishes and drinks. The House-made Potato and Cheddar Cheese Biscuit with Smoked Salmon Tartare was to die for! And it was even better when I washed it down with the Sonoma “The Pitchfork” Organic Pear Cider. Both of these can be found in the Cider House Outdoor Kitchen. I was also a big fan of the Pulled Pig Slider with Crispy Onions and Coleslaw from The Smokehouse Outdoor Kitchen. After all that tasting, we met up the Eric Darden, one of the head honchos when it comes to horticulture at the festival. He walked us around the park showing us some of the unique gardens and landscaping features. We learned that it takes an entire year to plan and create the magic we see during the festival! One area that we were fascinated with was the Urban Gardens. That’s where the Disney gardening team displayed all sorts of unique gardening ideas that are geared for the everyday gardener. 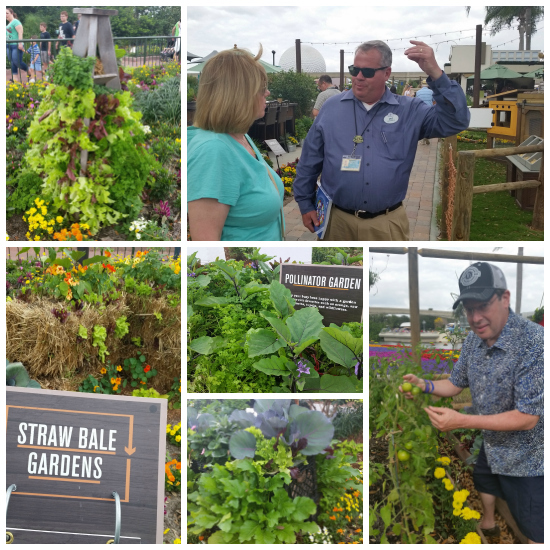 They had vegetable gardens growing out of everything from milk crates to bales of hay. How cool is that?! 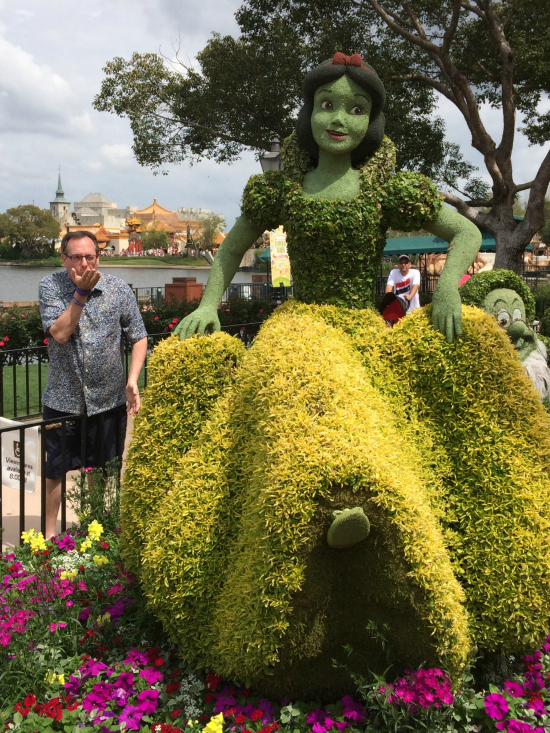 Of course, you can’t write about the Epcot® International Flower and Garden Festival without mentioning the amazing topiaries scattered throughout the park. Actually, to say they were amazing would be an understatement. 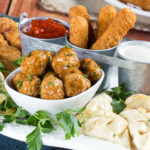 Just check these out! I even got to blow Snow White a kiss when no one was looking! Well, after a busy day of taking in the beauty of the garden, eating endlessly, and sipping our way around Epcot, we headed over to the America Gardens Theatre to rock out. 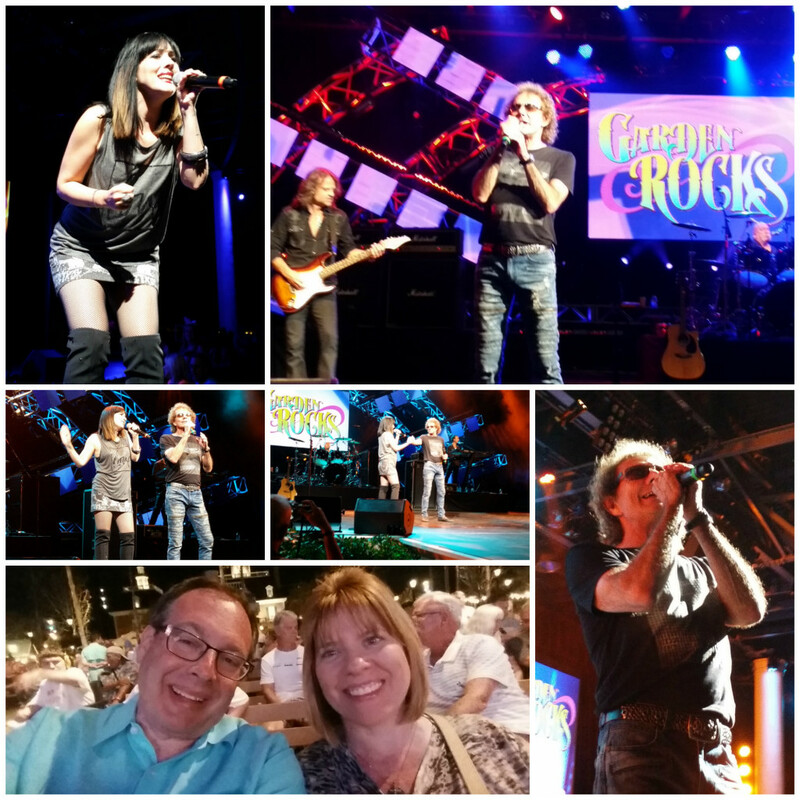 The weekend we were there the Garden Rocks Concert Series had one of my favorite oldies groups, STARSHIP starring Mickey Thomas. What a show it was and when they sang one of their hit songs, “We Built This City,” Patty and I couldn’t help but get up and dance! Before the night was over, we made sure to get one more thing in…fireworks! 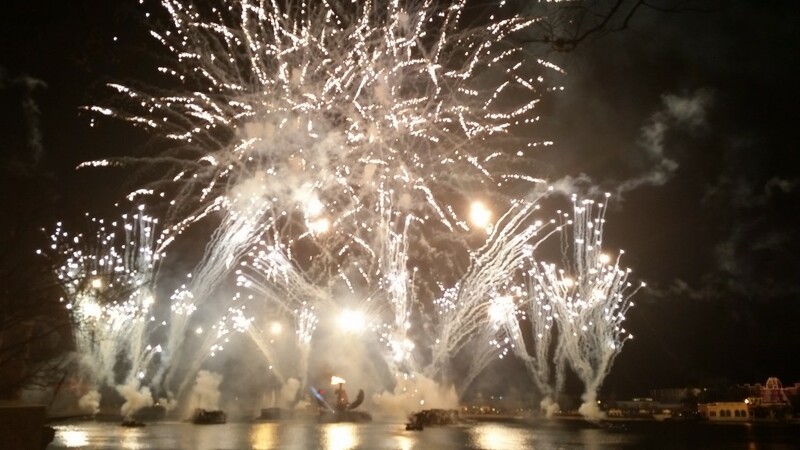 Disney is famous for them and Epcot’s IllumiNations: Reflections of Earth show is not something you want to miss. We had such a great time, we can hardly wait till next year, when we will definitely be visiting again. You may not have to wait as long, since we’re giving away a getaway package for four to experience the magic of the festival! What part of the festival are you most excited about? 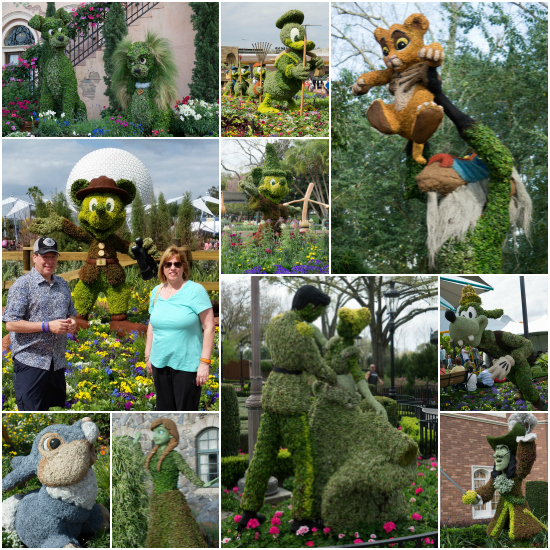 Click here for more information on the 2016 Epcot® International Flower and Garden Festival. Before Christmas you came out with two recipes that are now staples in my kitchen. First of all the Raspberry Streussel Muffins. I bake a batch EVERY week and have given the recipe out to many friends. Next. you introduced the Reindeer Crunch Salad. I make that dressing and bottle it and keep it in my refrigerator. It is my new “go to” dressing. In fact, I have found myself eating much more salad than I ever have and loving it. 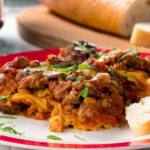 I watch you every day and love the recipes!!! Thanks Mr.Food. 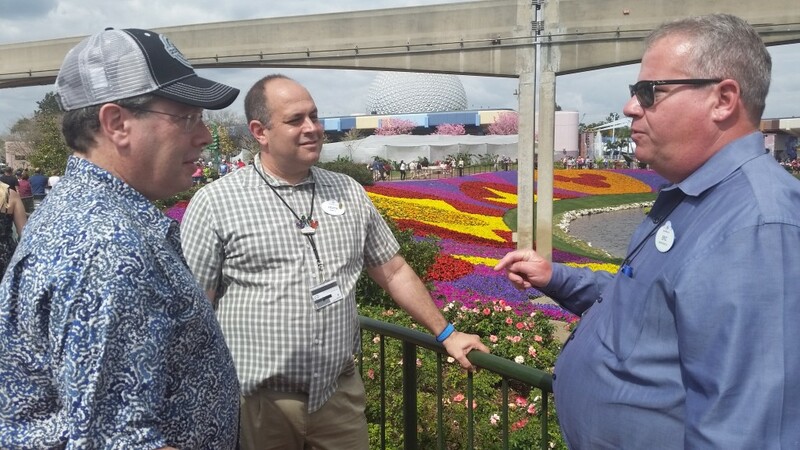 When will the winner of the Epcot Flower Festival be announced? Also will it be in your blog?